You cannot add "Color Science" to the cart because the product is out of stock. 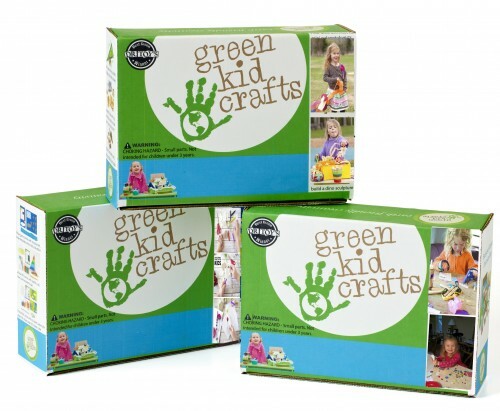 We have created a 3-box Art Pack that will inspire your pint-sized artist with three creative and fun Discovery Boxes! 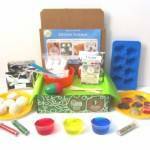 This pack includes the Creativity Art Box, Art Lab, and Gifts By Me Discovery Boxes. 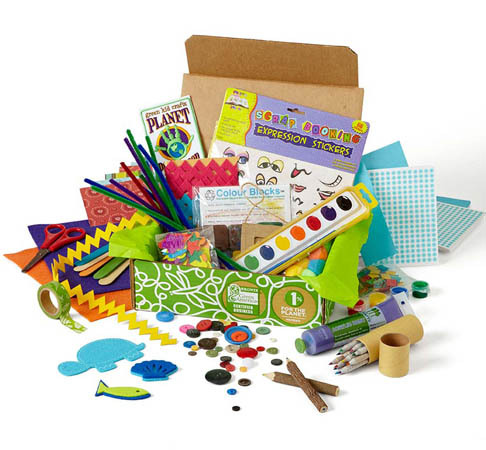 Our Creativity Art Box is chock full of eco-friendly art supplies like felt, stickers, eco-paint, recycled cards and envelopes, pom-poms, recycled felt, glue, soy crayons, pipe cleaners, recycled paper, and more. Just add imagination for tons of potential projects. 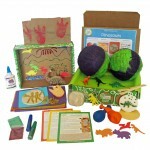 The Art Lab Box is full of activities that will promote the emotional and imaginative development of kids. 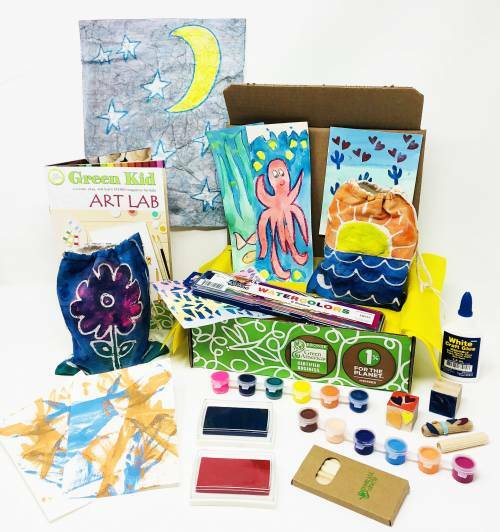 Kids will experiment with the ancient art form of Batik, complete a pulled yarn painting, let go during scribble and salt painting lessons, make their own rubber stamps, and more. 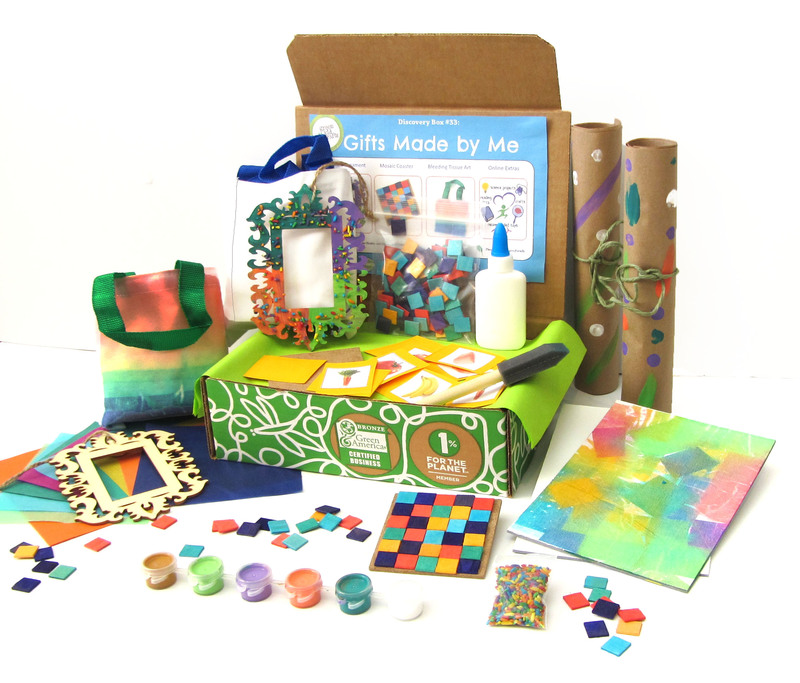 Our Gifts By Me Box includes supplies and instructions for kids to create five one-of-a-kind gifts. Kids will have a blast making the following gifts to give to their loved ones: a Framed Ornament, a Mosaic Coaster, a Tie Dye Bag, an Artist Canvas, and Homemade Wrapping Paper. I got this box to jumpstart my daughter’s art collection. It was a great investment. We got an annual subscription to these boxes for my grandson sent to our house so we always have fun activities to do when we watch him. I appreciate all the fun projects. They are always the first thing he wants to do when he comes over. My family has been subscribers for 3 months. We have been very happy with the products and we appreciate the commitment to being eco-friendly. I have six grandchildren that I get these Green Kid Crafts Discovery Boxes for. I thought the kits would be too juvenile for the oldest two but they love them too! I just step up the complexity a bit. The kids really love craft day at grandmas! My 5 year old daughter really liked the storytelling kit and making up different characters. The clear directions, all great materials, great projects. I really liked the design of the directions and all pieces. The beehive was really fun and creative. 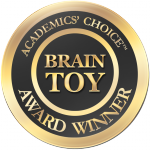 As a dad, I value this service because it gives me hands-on supplies and ideas I can use to immediately begin creating memories with my kids. 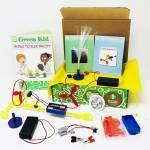 I m bad at coming up with creative things to do with them so Green Kid Crafts is something I feel fortunate to have in my toolchest. I am over the moon for this box! 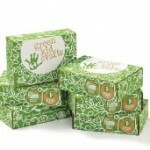 Such a great box and it is conscious of the environment, everything used is recycled, re-purposed or earth friendly! Our sibling box was pretty amazing  It was full of art supplies  a watercolor set, art pastels, eco-glue, a cute mini tape dispenser, recycled felt, and clay. Plus 4 activities. 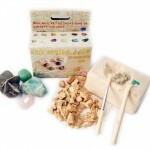 This is a great value and so worth the money in terms of the time saving. I love that these boxes brings my while family together. I’ve seen the coffee filter wings before but never with the large elastic that makes them wearable….FABULOUS!! My daughter loved them! I loved how the projects weren’t all just paper cut outs. Loved the finished bug wings – they are fun for her to play with post-project, too. Great choices.